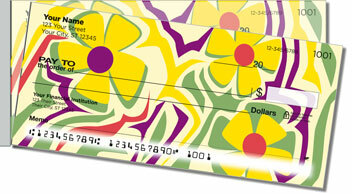 Attention ladies, now you can get a color and flower fix every time you write a check, thanks to these cute Girly Flower Side Tear Checks from CheckAdvantage. Just look at the bright bodacious blooms on these babies! 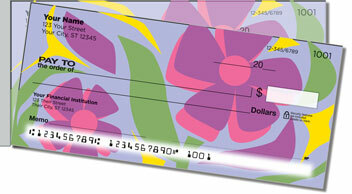 With a flashy set of checks like these in your purse, nobody's going to accuse you of being a bore! In fact, we bet you're the life of the party! 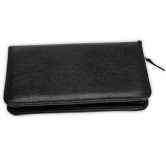 And not being one to fuss over matters mundane, you'll appreciate the short line of perforation on the left, which lets you separate your completed documents quickly and cleanly from the pad. 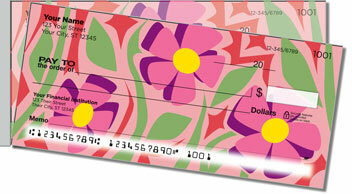 Hurry-personalize your very own Girly Flower Side Tear Checks today! 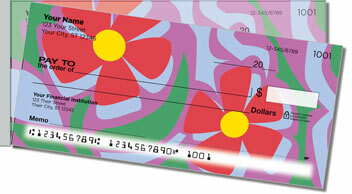 You can also get this fanciful design as a set of matching address labels to complete your order.